Today we have a special guest post by my friend Caroline Potter of Colorful Eats. 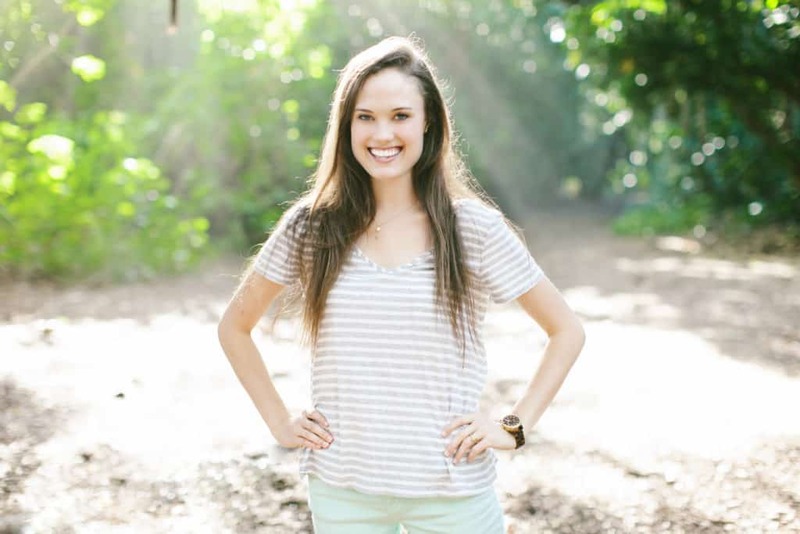 Caroline’s diagnosis of Type 1 diabetes and healthy journey inspired her to start her blog Colorful Eats, become an NTP and develop a passion for photography and cooking. Caroline lives in Pearl Harbor, Hawaii where her husband is stationed in the US Navy. They love to cook together and take their dog Liberty to the beach. She says a good day is when their house smells of melting butter, smoked ribs and homemade chocolate chip cookies! 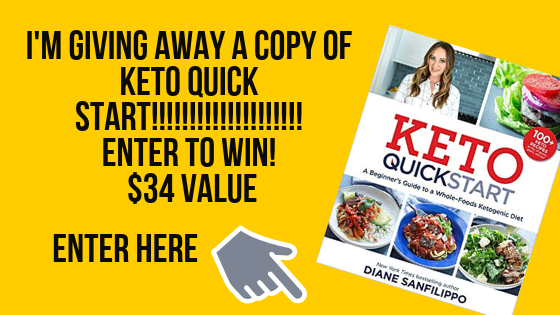 Thank you Carol for letting me share a recipe with Ditch the Wheat today! 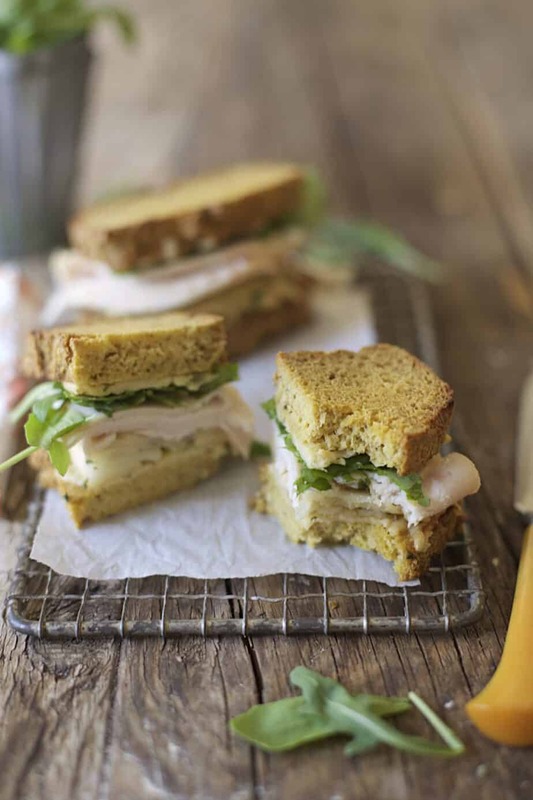 I wanted to share a fun sandwich recipe with you all using my grain and nut-free sandwich bread, freshly baked and topped with all your leftover Thanksgiving day fixings. But of course, don’t limit making these yummy grilled cheese sandwiches just to Thanksgiving! As a child I always remember the day after Thanksgiving, getting out the Christmas decorations and making leftover turkey sandwiches. There is something about thick slices of bread and leftover roasted Thanksgiving turkey that just is so comforting. Browned butter and sage have quickly become my favorite fall flavors. Not only does it make your kitchen smell magical but I promise you will fall in love with this dreamy savory taste. I layered the grilled cheese with sweet sautéed apples and savory arugula for a nice contrast of flavors. I chose to use gruyere as it pairs nicely with the sweet apples and is one of my favorite raw cheeses. If you can’t tolerate the cheese, just omit that part and these grain-free sandwiches will still be delicious! Warm a skillet to medium heat. Melt the butter in the pan so that it sizzles and browns, then add in the sage and apple slices. Turn the heat down to low and sauté for 10 minutes or until apples are soft. While the apples are sautéing, slice the bread and spread a thin layer of mustard over each slice. 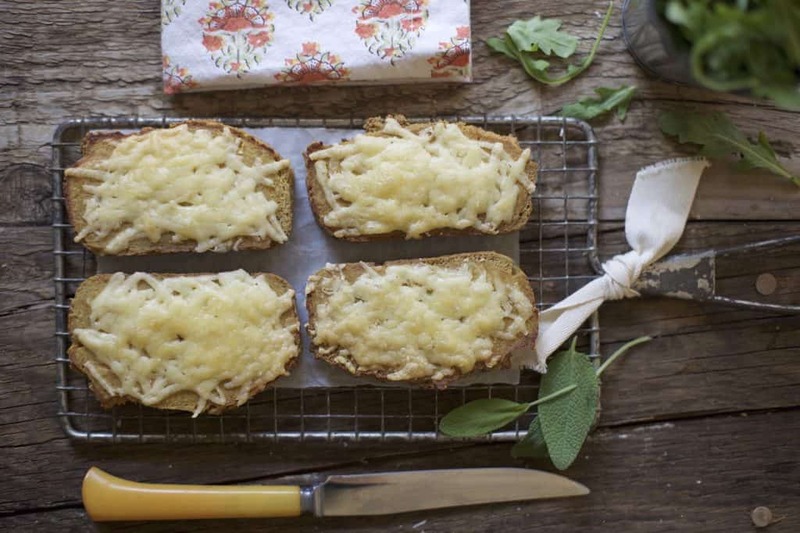 Top each bread slice with a handful of shredded cheese. Place cheesy bread in the toaster oven and toast for several minutes or until cheese is melted and begins to bubble. 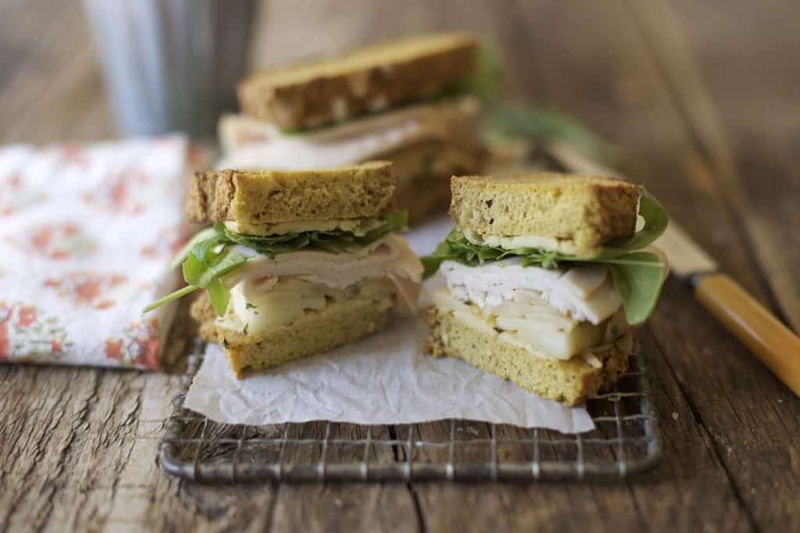 Add a scoop of apples to half of the bread slices, then top each with slices of roasted turkey and a handful of arugula. Place the other half of the sandwich on top. You can follow Caroline on her blog at Colorful Eats, on Instagram and Facebook. Link to grain and nut-free bread recipe needs to be fixed.